Bolivia Hop is very different from other Bolivian bus companies. Our focus is on safety, and we will never jeopardize the safety of our passengers by driving recklessly. Other Bolivian bus companies are famous for their lack of safety standards. They speed to get passengers from point A to point B in order to collect more passengers and do another trip. Furthermore, other companies are famous for causing major problems for tourists when crossing the Bolivian border. This involves driving off while you’re in immigration, helping immigration with scams, or allowing unknown passengers onto the bus who are there simply trying to steal your bag when you are not looking. If you google this, you will see that we are not lying! Drivers swap every 4 hours to avoid tiredness and fatigue. Drivers are not tired and overworked. For every passenger on board. Comply with all safety regulations and are regularly checked for maintenance. To make sure everything is going well. Drivers are under NO pressure to arrive at a certain time, no need for speeding or taking unnecessary risks. Assisting you with any issues, all fluent in English and Spanish. Supplied on board and we will assist you with filling them out. Only passengers who provide copies of their passport are allowed on board. We will never leave you behind! 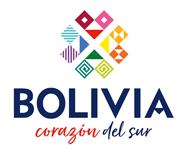 When traveling with a dedicated team focused on your safety, you can be sure that Bolivia Hop buses will help you get from A to B in a safe and easy way. At the same time, we will take all the stress away from crossing the Bolivian border!